TBTA Ministries was founded in 2010 and awarded non-profit status June 14, 2010. In 2010, TBTA Ministries purchased 2 FM frequencies, 88.1 FM WKRE and 88.5 FM WKUA. Revocation Radio was brought online in 2011 on 88.1 FM WKRE in St. Clair County and quickly gained listeners despite itâ€™s very small range. In 2012, construction of a tower, management building and antenna were complete and 88.5 WKUA went on-air in January of 2012 and built an audience rapidly, becoming Revocation Radioâ€™s most popular frequency. The wheels of growth were still turning and in August of 2013, Revocation Radio went on the air in East Central Alabama with 89.7 FM WJHO. I hope you guys know how much Revocation Radio is a blessing to us. You guys play great music 24/7 and it’s Christian based. The little bit of advertisement that y’all do have is local businesses. Revocation radio is the only station that I can listen to at 3am when I’m coming home from emergency calls that I know will be playing great music. Keep up the amazing work! Well with the help of Jesus, you, and the station, has helped me a ton. Ive actually been listening for several months now just never texted in. I use to listen to a lot of hard rock that fed my spirit the wrong way… Thats why even going to church as much as I could I still found myself listening to worldy music during the work week, but thanks to the 89.7 I have learned about several rock christian artists and I don’t find myself wanting to listen to all the garbage that I used too. You know, before listening to this station, I didn’t like rap/hiphop at all. I just wrote it all off as “bad.” I now realize that I just hadn’t heard any good artists. Its amazing how convicting some of their lyrics are. Thanks for broadening my musical horizons, while also strengthening my walk with Christ. Is TBTA Ministries and Revocation Radio the same thing? Basically, yes. TBTA Ministries is a ministry that aims to “Take Back the Airwaves” through radio, television and more evangelistic mediums. Revocation Radio is the name we give the radio network. While the two names are interconnected, you are donating to TBTA Ministries (a 501(c)3 non-profit organization) to help Revocation Radio stay on the air. If you think it’s confusing now, you should try filling out the paperwork. Is TBTA Ministries a non-profit ministry? YES! TBTA Ministries is a registered 501(c)3 Non-Profit organization. Donations of any amount or anything is 100% tax deductible! If you have any more questions on this, please contact our Business Office – (205) 402-4266. There are multiple ways to give to TBTA Ministries! 2. 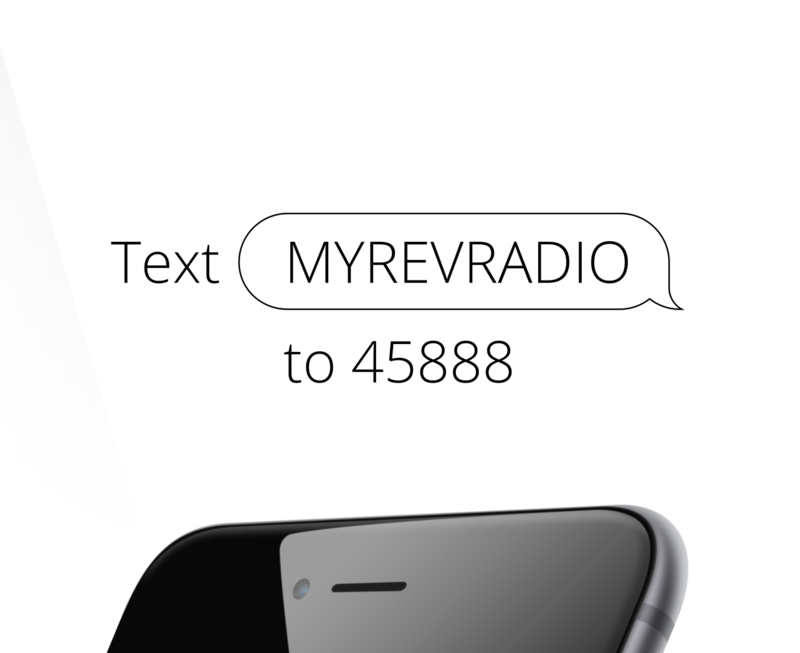 Via Smartphone – Text “myrevradio” (Without the quotes) to 41444. You will get a message with a link to complete your gift! How can I update my existing gift? We thank you so much for already being a loyal donor to TBTA Ministries! To update your existing gift, please click here!